Chinese startup company OnePlus is still working on releasing the successor of its OnePlus One smartphone, the OnePlus Two, but prior to the upcoming smartphone’s official release date, there are bound to be several leaks concerning the hardware specifications and features that make up the flagship device. One of them has to do with possessing a Snapdragon 810, which is the only obvious choice the company is left it. However, the successor of the ‘Nexus Killer’ is expected to be stuffed with more than a few goodies to deliver the experience of a next generation smartphone. According to a source, the OnePlus Two is going to feature an advanced biometric scanner that will rival the security contingencies of Apple’s Touch ID interface. If the biometric scanner is as advanced as the source states that it is, then will OnePlus also be aiming towards a mobile payments platform too? Given particularly Google’s intentions for developing that area for Android devices. Chinese smartphone companies are on the rise and if OnePlus wants to create a broader market for itself other than just pricing its offerings aggressively, then it is going to have to come up with features that augment the experience for the user. 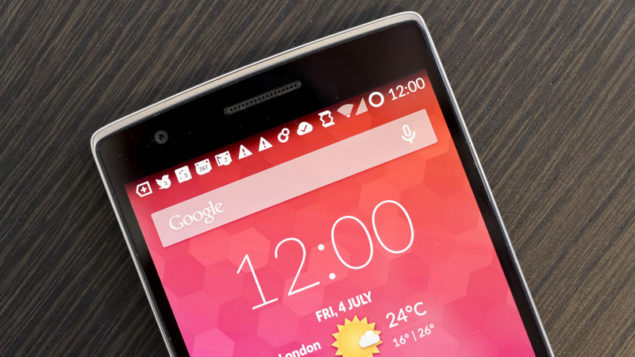 In terms of hardware specifications, the OnePlus Two is expected to retain the same screen size as its predecessor while upping the resolution from 1920 x 1080 pixels to 2048 x 1536 pixels. The OnePlus Two is also expected to be incorporated with Qualcomm’s Snadpragon 810, the octa-core SoC famous for its overheating problems. Only recently, it was revealed by Huawei that ARM’s Cortex-A57 CPU delivers 56 percent more performance compared to Cortex-A53 but also consumers 256 percent more power, making it one of the most battery hungry components present in smartphones. If the OnePlus Two is expected to be featuring a Snapdragon 810, then the company should make sure that it is fitted with something with something that at least resembles the 3,100 mAh battery present inside the OnePlus One. Furthermore, since the OnePlus One was assimilated with 3 GB of RAM, it is only fitting that its successor is able to provide users with more RAM (4 GB is the amount that is rumored to be present inside the upcoming smartphone). In order to provide additional flexibility to users, OnePlus Two will also be expected to feature a microSD slot, since the OnePlus One was void of one. Pricing is also going to play a huge role in determining the success of the upcoming handset. As of right now, Lenovo K3 Note is able to score more than OnePlus One in the latest AnTuTu benchmarking leak and carries a modicum price tag of $145. If OnePlus is not able to aggressively price it flagship offering and stuff it with features that users can actually take advantage of rather than being dismissed for something gimmicky, then it is the affordable smartphones that are going to be taking the lead.